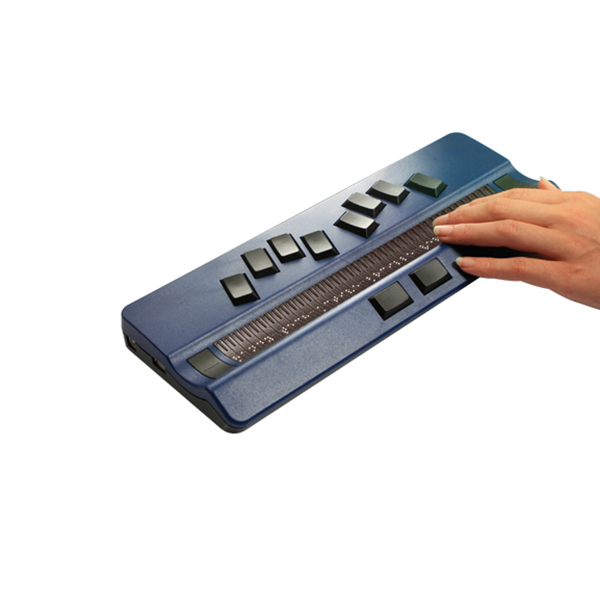 Active Braille is the world’s first 40 character Braille display with patented ATC technology. In addition of being an ergonomically optimized Braille display, Active Braille is also a powerful note taker on which you can store hundreds of books. With the automatic scrolling of the Bookworm mode, reading becomes a real pleasure on the Active Braille.